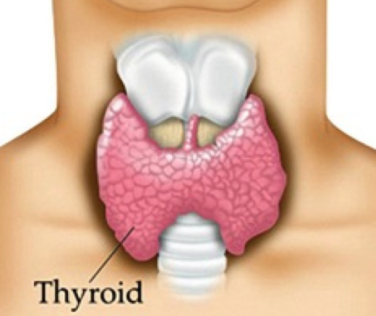 Chronic Autoimmune Thyroiditis (Hashimoto's thyroiditis) : A type of thyroid inflammation caused due damage to thyroid tissue. Autoimmune diseases : Increase risk factor for the person suffering from rheumatoid arthritis, vitiligo, addison's disease, diabetes etc. Surgical Removal of small part or all of thyroid. Secondary Hypothyroidism due to ailments of pituitary and hypothalamus which causes thyroid hormone deficiency in addition to other hormonal imbalances. Goitre : Enlargement of thyroid gland resulting in swelling in throat, swallowing and breathing problems. Depression and other mental conditions. Birth defects in new born babies, children will be more prone to serious intellectual and developmental problems. As per Dr.Abhishek clinical practical experience, even if the patient is on HRT and TSH levels are coming in normal range, body is still affected by the symptoms of hypothyroidism diffuse hair loss, impaired memory, lethargy, body weight gain, constipation, body pain, Irregular menstrual cycle, skin and hair dryness, Mental depression, numbness etc.On the other hand during correct homeopathic medication, above symptoms does not occur, as homeopathic medicine stimulate patients thyroid gland to produce optimu level of hormones. In females using HRT for more that 5 years, 57 out of 1000 females develop breast cancer and in those female using HRT for 10 years, there would be 60 out of 1000, and it goes on increasing. The rate of breast cancer was 28% higher among those receiving HRT as opposed to those getting placebo. Clinical trials - BBC News, 7/01/2005, Stroke rates were 42% higher and blood clot rates were more than two times high in patient getting HRT - American Cancer Society, 2001. Anti-TPO antibody test for Hashimoto's thyroiditis. Ultrasonography useful to detect nodules and infiltrative disease. There are 183 homeopathy medicines which provide best treatment for hypothyroidism (underactive thyroid or impaired production of thyroid hormone). As per Dr.Abhishek, correct choice of homeopathic medicine and the resulting relief depends on correct case taking and Individualization of case done by qualified Homeopathic Doctor. Some of the remedies which may be used under an expert homeopath are Calcarea carbonicum, Natrium muriaticum, Kalium carbonicum, Iodum, Thyroidinum and so on. As per Dr.Abhishek clinical experience at Aura Homeopathy Clinic and research centre-India, Aura homeopathy is strongly recommended for every types of hypothyroid patients; newely diagnosed cases and chronic diagnosed patients who are already on HRT for a long time. In recent cases homeopathy is able to stop the HRT completely. Avoid peanuts, peaches, cabbage, spinach, soybeans and radishes. Supplements of riboflavin (vitamin B2), zinc and niacin (vitamin B3), pyridoxine (vitamin B6), vitamin c, vitamin E and tyrosine might help increase thyroid production. Physical exercise for 15 to 20 minutes per day is good for maintaining good thyroid Regular physical activity is very important if you are hypothyroid.